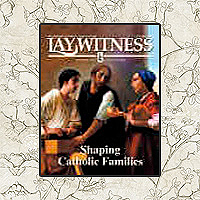 Elizabeth is a nationally known contributor to major Catholic magazines. You may access her previous articles from this page. Reprint Notice | Articles may be reprinted with the permission of Elizabeth Ficocelli. All articles must be reprinted in entirety including publisher credit. All articles on this site are copyrighted and the sole property of the author.